If you are reading this, then God is calling you. 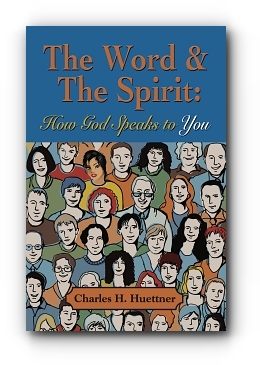 His spirit is drawing you toward Him and this book. This book offers you a fresh and inspired way to learn how to hear what God wants to say to you. Are you someone who only believes in what you can see and touch; yet you have a feeling that there is something more? You might love your church but want to learn more. You may have turned away from the church, yet you still seek answers. That is what this book will provide. It will describe how God will speak to you. He wants a personal relationship with you. It’s not about you and the church, its about you and God. If we cut through all that is said about God, religion, and the Bible there is a central message that God has told eyewitnesses to tell us. This message sometimes gets overlooked in all the religious discussion. This book will provide you a big picture view that ties together the Bible, scholarly research, Christian belief, and the Spirit’s work in your life. The result for you will be a more joyful daily life, less fear of death, and strength to take action in the face of difficulties and opportunities. Like the original Disciples, Charles was drawn to the ministry from another profession. He is a pilot, a senior executive, was the aviation advisor in the White House on 9/11, and has a Masters Degree from Harvard and a Diploma in Theological Studies from the Virginia Theological Seminary.